Sugar Ray Robinson, Sugar Ray Leonard and Muhammad Ali in Las Vegas in 1977. Both Leonard (1976) and Ali (1960), won gold medals in their respective Olympics before going on to glory at the professional ranks. In 1988, when tennis debuted at the Seoul Olympic Games, allowing professionals to enter the competition, the gold medalist in individual play was Miloslav Mecir of Czechoslovakia. While he defeated Stefan Edberg, whom Mecir had lost to at Wimbledon that year, the Olympic tournament was missing quite a few stars of the time: Mats Wilander, Ivan Lendl, John McEnroe, Boris Becker for example. As I understand it, the Olympics provided no ranking points or remuneration so many of the pro stars were not motivated to be an Olympian. In 1992, when FIBA allowed professionals to participate in the Olympics, many of the teams were transformed with players from the NBA and other international professional leagues excited to be Olympians. 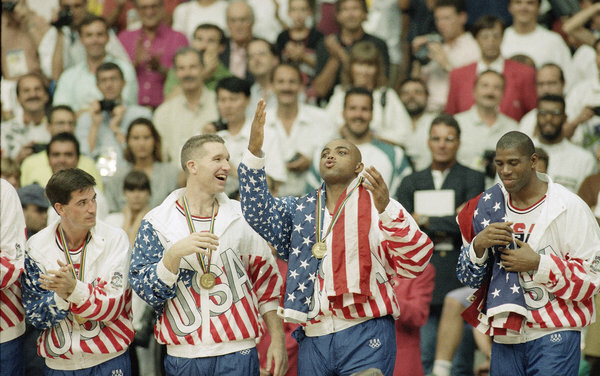 With Michael Jordan, Magic Johnson, and Larry Bird headlining a team of unprecedented talent, Team USA swept through the competition with ease to win gold. 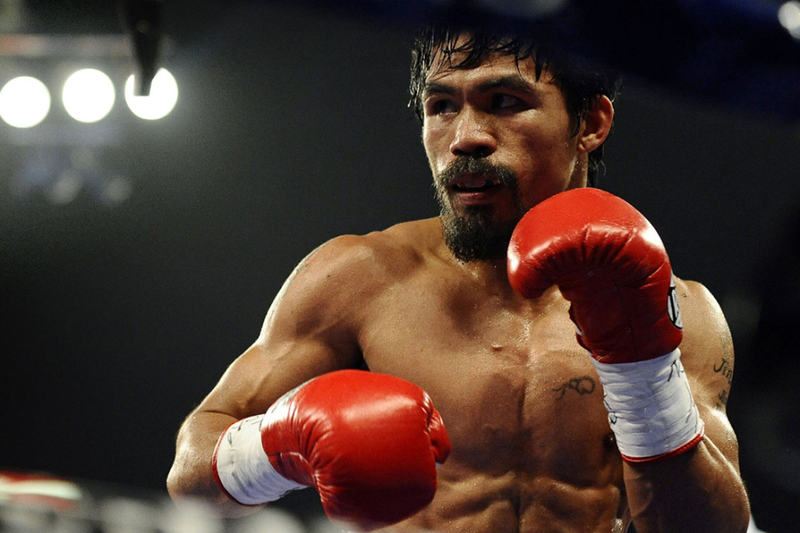 In May, 2016, the International Boxing Organization (IBO) will vote whether to allow professionals to compete in the Olympic Games going forward. Presumably, the reason is the same for every other international sports governing body – the very best in their sport should compete at the Olympics. So if the IBO gives pro boxers the thumbs up for the Olympics, will the reaction by the pros be like tennis in 1988, or like basketball in 1992? Manny Pacquiao thinking about Rio. Will others pros step up into the ring in Rio? This isn’t clear yet – some will be bothered by the lack of financial incentives, and others may be enticed by the national glory. But one thing is clear – boxing is a brutal sport. And as pointed out in this discussion board devoted to boxing, people don’t just lose in boxing matches…they can get beat up. And if you’re a pro, you’re sacrificing potentially lucrative but limited paydays to possible injury. If you’re an amateur, you may end up getting battered way more than what a fellow amateur could do to you. I like flea markets so I found myself roaming one in Yoyogi, which happened to be right next to the beautiful National Gymnasium. The site is composed of two complementary structures, the main building where the swimming and diving events were held during the 1964 Tokyo Games, and the Annex, which is where basketball games were held. After browsing the goods on the crisp winter day two Sundays ago, I thought I’d see up close what I had already written about. The larger structure of the Kenzo Tange-designed buildings was closed. But fortunately, the Annex was hosting an event, the 27th Annual Women’s Gymnastics Club, a free event, so I suddenly found myself in the stadium where Jerry Shipp, Mel Counts, Luke Jackson, Jeff Mullins, Bill Bradley and Larry Brown, to name a few, won their gold medal for the United States basketball team. Inside, pre-teen and teenage girls were performing rhythm gymnastics for family and friends, who sat in the dark and intimate stadium, the floor standing in brilliant lighted relief. The Annex seats only 4,000, so I could understand how the basketball games were hot tickets. Of course, the fact that there are only 4,000 seats means there is not a bad seat in the house. You can see that in the pictures. Thankfully, the annex, which is a sixth the size of the national gymnasium, will be one of several sites from the 1964 Games used in the next Tokyo Games. In 2020, the annex will be the site of the handball competition. But since 1964, basketball has become an international phenomenon, and women’s basketball, also growing in popularity, has been added to the mix. With that in mind, basketball in 2020 will be played in the Saitama Super Arena, which has a maximum seating capacity of 22,500 when basketball is in the house.